Races can join AIMS as associate or full members. Associate status is intended for new races of less than two years standing. 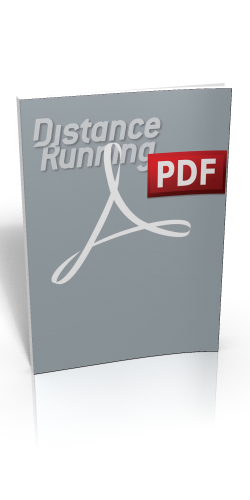 After two years as an associate member, races are required to move up to full member status. Members must have their courses measured by an accredited IAAF-AIMS measurer. AIMS was firmly established in May 1982 with its first Congress in London. Informal discussions had been held over the previous two years amongst some of the world’s leading marathon race directors with a view to setting up such an association. Meetings were held in New York, Honolulu and other venues prior to the formal meeting in London. AIMS was initially established with the idea of providing a forum for the exchange of ideas that would help to improve each attending director’s race. However, once it was decided to write Articles of Association it was found necessary to go beyond just the exchange of ideas and to set some basic rules to govern the association and membership. From those beginnings thirty years ago AIMS has made remarkable progress. At the 5th World Congress of AIMS in 1989 in Melbourne, Australia, membership was extended beyond just marathons to all road races. Membership was further extended at the 16th World Congress of AIMS in March 2007 held in Xiamen, China to explicitly include races held off-road. 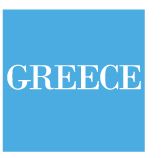 Through a partnership with agencies of the Greek national government AIMS opened a permanent headquarters at the spiritual home of the Marathon in November 2011, within the Olympic Complex in Athens. From this date OPAP-VisitGreece has become the Patron of AIMS. AIMS has set firm standards of course measurement. IAAF has recognized and adopted the AIMS system as its standard. All AIMS members are required to have their courses so measured. AIMS and IAAF recognize world road records, having jointly developed acceptable criteria for their recognition. Horst Milde was a baker by profession, but also a keen runner, and he founded the Berlin Marathon back in 1974. Under his direction it grew from a race of a few hundred, held out in the woods, to an event of 40000 runners which showcases all of Berlin's most prominent landmarks. He handed over the daily management of the Marathon to his son Mark Milde, but is now President of the German Road Races Association. He was an AIMS Board Member from 1999 to 2010. He was instrumental in establishing the AIMS Marathon Museum of Running and continues to coordinate this important facility on behalf of AIMS. The first President of AIMS, Will Cloney, was race director of the Boston Marathon from 1947–1982 and President of the Boston Athletic Association from 1964–1982. He attended Harvard University from 1933 and became professor of English and journalism at Boston's Northeastern University from 1937–1953, spanning four years of military service in the Second World War. He was a sportswriter for the Boston Globe from 1930–1953, followed by three years with the Boston Post. He directed the Boston Marathon for 36 years, guiding the event during the popularisation of the marathon in the late 1960s, and the institution of qualifying times in the 1970s, right through to the running boom of the late 1970s. In his first year in charge there were 184 runners; by the last this had grown to 7,647. Married in 1937, he had four children. He died on 16 January 2003 at the age of 91. AIMS has developed into a trustworthy partner for IAAF in the international athletics movement largely through the leadership shown by Hiroaki Chosa. AIMS benefited from direct access to decision makers in the international athletics movement through Mr. Chosa's expertise and experience. 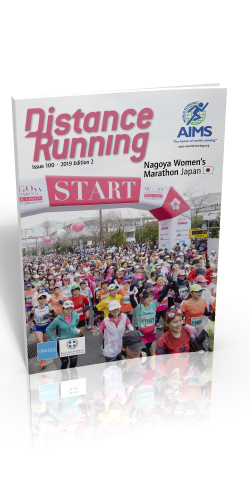 His experience is varied: through athletes he trained in his national association; through his position as Race-Director of the renowned Fukuoka Marathon; and through his membership of the IAAF Road-Running Commission. It is also thanks to Mr. Chosa that AIMS had contact with Japanese sponsors, which helped the association to become financially independent. This in turn allowed AIMS to carry out several worldwide initiatives. Andrew (Andy) Galloway was born in Auckland, New Zealand in 1930. “My running career probably started at the age of five when my mother walked me 1.5 km to school for my first day, but made the mistake of letting go of my hand when we reached the school gate. I took off, running as fast as my little legs would carry me, and didn't stop until I reached the safety of my home,” Andy Galloway recalls. “At the age of sixteen a very good friend who was a New Zealand Junior Champion at javelin and hammer throw, asked me to join him in his endeavour to stay fit during the winter season and to join the local winter running club. That was it; I was soon addicted to running and have remained a member of Hamilton Harrier Club for the past 60 years, serving as Committee Member, President and now Patron and Life Member.” Andy Galloway ran his first marathon at the age of 20 and “Because of my interest and love of marathons, I started taking groups of runners to overseas events such as the Honolulu Marathon or the Round Rarotonga Road Race.” It was on the tour to Honolulu in 1981 that he was asked to attend a meeting of race directors to discuss the possibility of a World Marathon Circuit. This was his introduction to Will Cloney (Boston), Chris Brasher (London), Fred Lebow (New York), Serge Arsenault (Montreal) and others. Andy Galloway was then elected to the first Board of AIMS. He was appointed as Secretary/Treasurer and was involved in all aspects of the Association for the next 15 years. Fred Lebow founded the New York City Marathon in 1970, and in 1993 became chairman of the New York Road Runners Club (NYRRC) after a 20-year term as president. He was one of the major influences behind the running boom in North America and elsewhere, contributing innovative ideas and programmes to the sport. He was also a major driving force in the establishment and development of AIMS. Fred Lebow expanded the New York City Marathon from a small event held entirely within Central Park to its present city-wide version with hordes of spectators cheering on more than 35,000 runners. Father of the marathon, he conceived, conducted, directed and sponsored the first race with just 127 runners – of whom 55 finished, including Fred himself. He personally bought wrist watches as prizes for the first ten finishers. Lebow also started such original events as the Fifth Avenue Mile and the Empire State Building Run-Up. He developed the New York Road Runners Club from 270 members in 1972 into the largest organisation of its kind in the world. Today the club organises more than 100 events annually. Fred Lebow, born in Romania as Fischel Leibowitz, spent time in Ireland, Czechoslovakia and other European countries before moving to the US. After settling in New York, he made a successful career in the clothing industry before he started working full-time for the NYRRC. In 1992 Lebow ran his only five-borough marathon in New York together with Grete Waitz to celebrate his 60th birthday and the remission of his cancer. But less than two years later he died of brain cancer on 9 October 1994 at the age of 62. Bob Dalgleish was involved in sport for many years and between 1978 and 1990 had been Sports Promotion Officer for the City of Glasgow. He was one of those responsible for getting the Glasgow Marathon started, and he continued as Race Director of the Great Scottish Run, which succeeded the marathon. Bob Dalgleish was a respected member of the International Amateur Athletics Federation (IAAF), and a former President of both the Scottish Amateur Athletic Association and the Scottish Cross Country Union. He was closely involved with the 1986 Commonwealth Games in Edinburgh. But Bob Dalgleish’s proudest and most treasured achievement in athletics was becoming President of AIMS. He took over from Chris Brasher in 1987 and the Association owes much to the innovation, expertise, time and honesty he gave as President. He always had time to listen to every side of a discussion, and stood firm on the policies that have built AIMS to the position of respect and strength that it holds today. Allan Steinfeld (1946–2017) established a reputation as one of the world's leading authorities on the technical aspects of road running. He developed methods that have become standard for marathons and races at various distances. Allan Steinfeld was a founding member of AIMS. He earned a Master's Degree in electrical engineering and radio astronomy from Cornell University in 1971, following a Bachelor's Degree from City College of New York in 1969. He was appointed as the first chairman of the then newly formed AIMS Technical Committee. He became a member of New York Road Runners (NYRR) in 1963. In 1978, Fred Lebow hired him to assist in planning and executing New York Road Runners events. Steinfeld became the Technical Director of the New York City Marathon in 1981, the President of NYRR in 1993, and CEO of NYRR and the Race Director of the New York City Marathon in 1994 following Lebow's death. In April 2005 he stepped down from these positions and assumed the new roles of Vice Chairman of NYRR and the Executive Director of the ING New York City Marathon. Allan Steinfeld was the chief marathon referee for the 1984 Los Angeles Olympics. He was technical advisor for the network television and world broadcasts of several Olympic Games, and served as the consultant for television broadcasts of the NYC Marathon and other NYRRC races. He was a consultant to the 1984 Olympic Marathons, London, Los Angeles, Rio Marathons and many other races. In 1984 the World Cross Country Championships were held outside Europe for the first time. They took place at Meadowlands, New York, and Allan Steinfeld was the event director. He also worked in track and field, as the meeting director for the IAAF Mobil Grand Prix events in New York City from 1989–1995 and as the competitions manager for the 1998 Goodwill Games. He died on 24 January 2017 at the age of 70. To coincide with the 16th World Congress of AIMS, held in Xiamen (CHN) on 28–30 March 2007, a Silver Jubilee Brochure was published to mark the 25th anniversary of AIMS. A logo was created in 2010 to mark the 2500th anniversary of the legend of the Marathon (see below), and was available for use as a supplementary item by race organisations during the year 2010, highlighting the importance and symbolism for world peace and solidarity that the year 2010 brings. For more information on this please read 2500 Years of the Marathon.